What is Tungsten Alloy Bar? Tungsten has a very high melting point of 3422 degrees Celsius, good corrosion resistance and can be added to other metals to produce extremely hard alloys. Tungsten in bar form is most often supplied as 99.99% pure tungsten, which can be brittle. We produce tungsten alloy bar by grinding tungsten metal ore into a fine powder. Chemical processing of the powder then forms tungsten oxide, which is heated to reduce the metal ore powder into pure tungsten powder. This pure powder is placed in a mold and hydraulically pressed into a bar form. The resulting bar is very fragile, and producers must then sinter the bar. Sintering further binds the metal powder in the bar, making the bar ready for shipment to manufacturers. Tungsten bar is fine-grained, has a uniform color and has a luster much like that of silver. The high density of tungsten means it's an ideal material to make vibration-free boring bars. 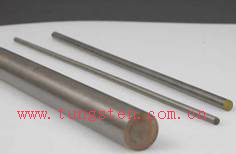 Tungsten alloy bar which includes WNiFe, WNiCu, or WNiCuFe are usually used in this field. Using the bar made of tungsten alloy means making heavier cuts, a longer tool life, and a better finish. Tool extensions up to 10:1 are possible, depending on the diameter. Tools run cooler because of the high thermal conductivity, and we can braze directly to material without affecting its physical properties. These materials are often used in place of tungsten carbide boring bars because they have a higher density, are readily machinable, and are less prone to chipping and breakage. 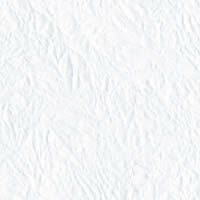 In addition, both material and finishing costs are less. Tungsten Alloy Bars are used for end mill extensions, arbors, tool holders, grinding quills, and boring bars. We can make heavier cuts at increased speeds. Because of high thermal conductivity—three times that of steel!—tools run cooler, adding to tool life and less down time, as well as its very high density, tungsten alloy bar is increasingly welcome by the public. It does not anneal during brazing, so carbide or tool holders and extensions can be brazed directly without affecting physical properties. Chinatungsten can not only offer the tungsten alloy bar with the blank form, but can also machined for customer. As it is high density with small capacity, high temperature resistance, reduction in press down-time, minimal extruded metal pick-up, high impact resistance and crack resistance, wonderful shock resistance, good corrosion resistance, etc. Therefore, tungsten alloy products are increasingly welcomed by public. For more details about tungsten alloy bar, you can contact by telephone 86 592 5129696, or email to sales@chinatungsten.com sales@chinatungsten.com . Any enquiry or questions will be warmly welcomed.